An exclusive moisturizing cream enriched with plant extracts and Dead Sea minerals. 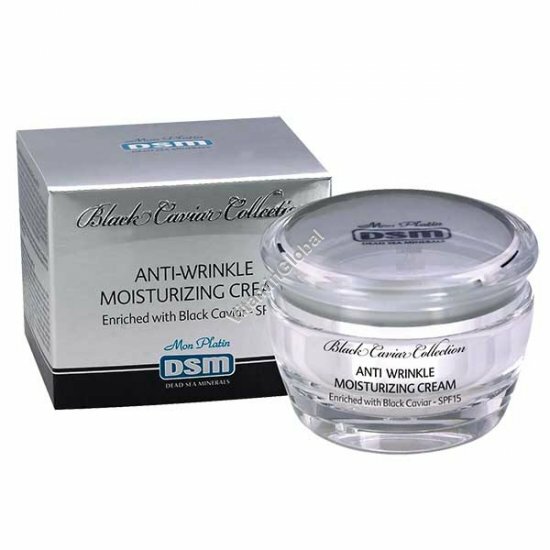 Rich in black caviar extract, containing an optimal balance of highly concentrated oils and proteins, mineral salts (mainly phosphorus and potassium), vitamins A, B2 and B12, iron, manganese, selenium, magnesium and amino acids. Immediately restores optimal moisture level to the skin, leaving it soothed and refreshed. With added SPF 15 to protect against UVA and UVB radiation. Helps prevent the formation of wrinkles. Contains shea butter, sea buckthorn oil, olive oil and honey. Does not contain parabens. Directions for use: Apply to the facial area and massage in a circular motion until completely absorbed.